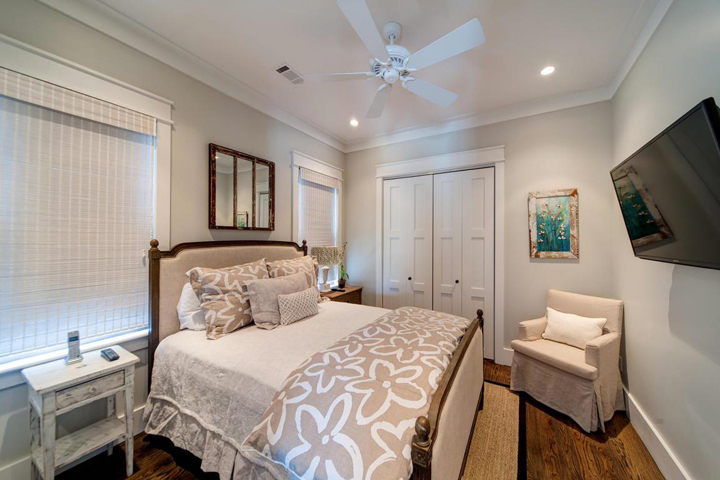 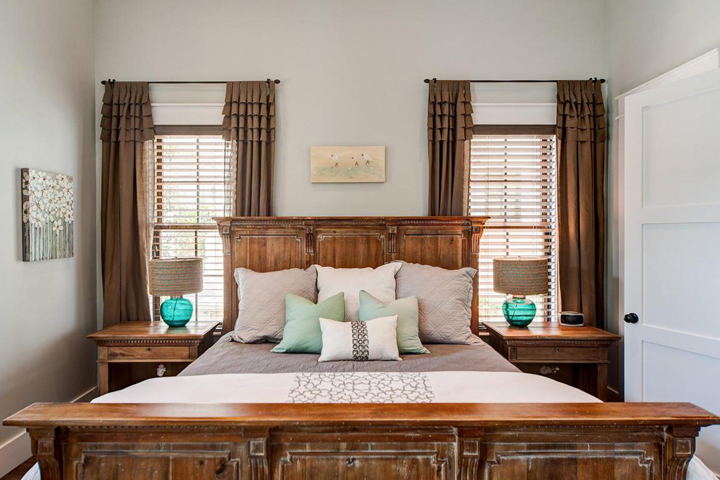 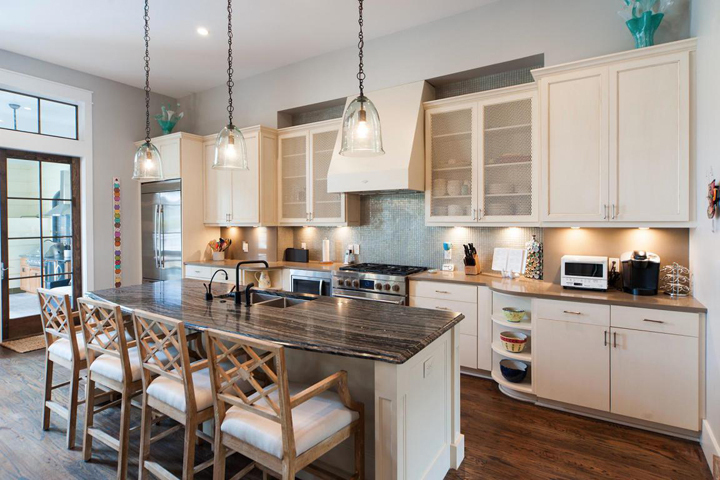 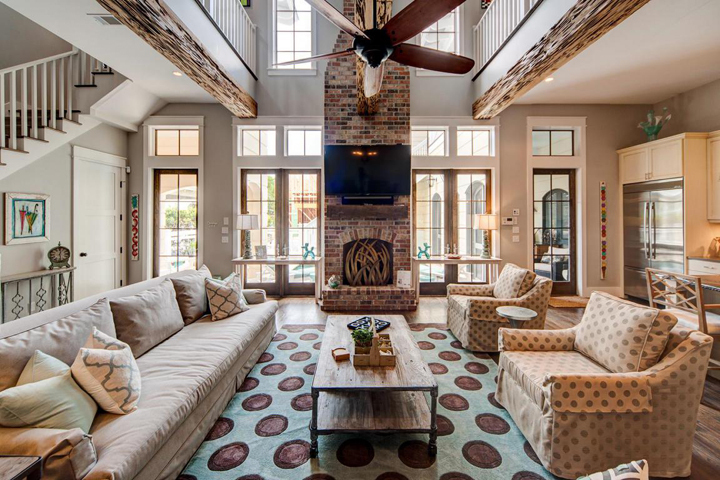 Custom built by Corestruction and designed by Blu Line Studio, this incredible WaterColor, Florida beach home is brimming with warmth and character! 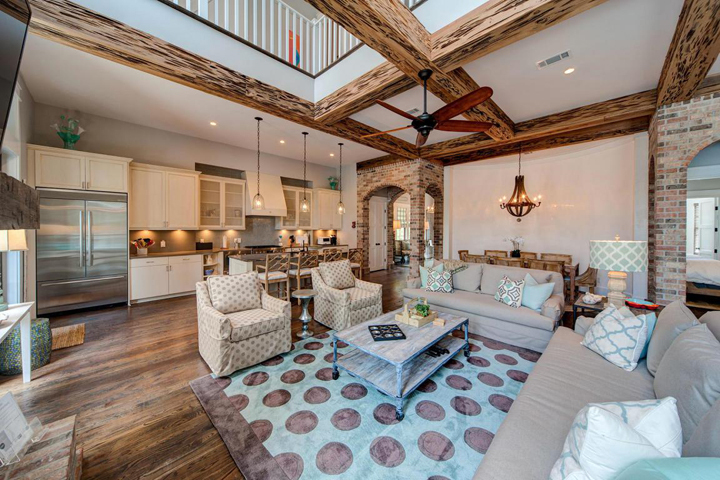 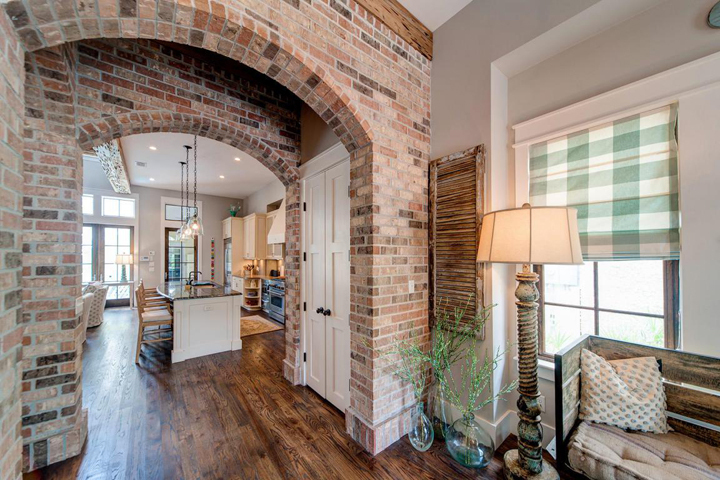 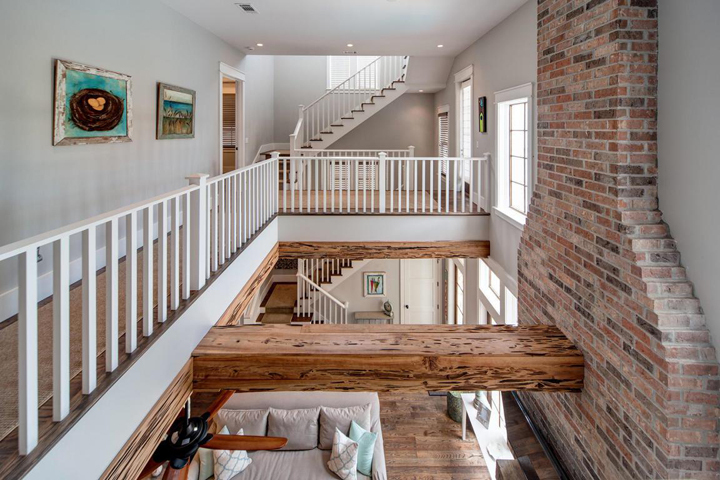 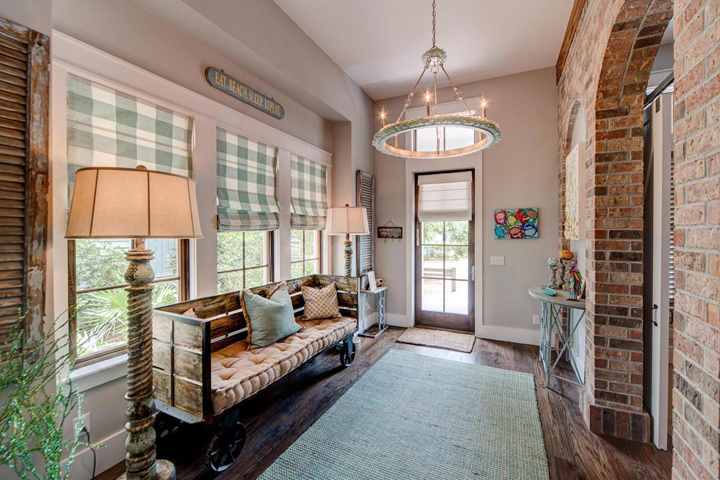 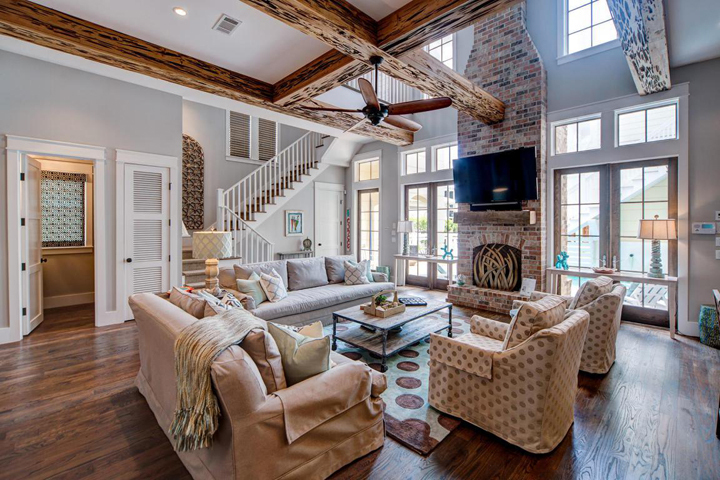 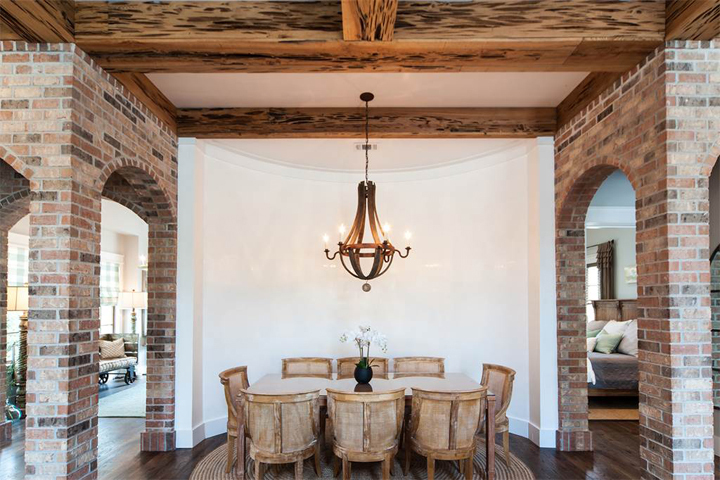 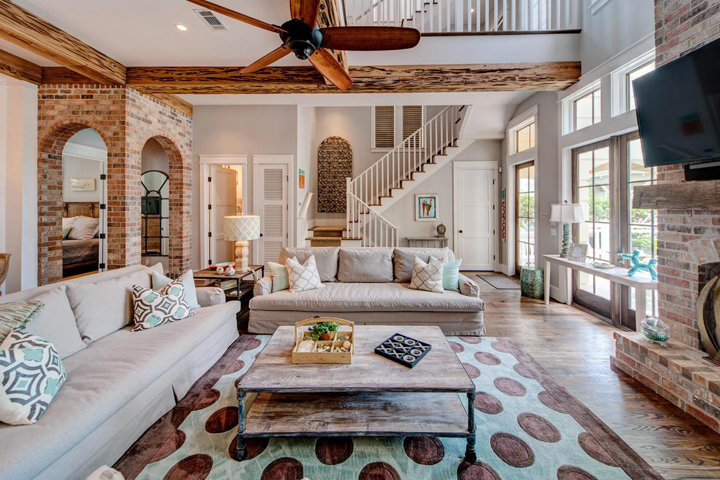 It was love at first sight with the soaring ceilings and exposed beams, but the dramatic use of brick takes it to a whole new level–loving those archways and amazing fireplace! 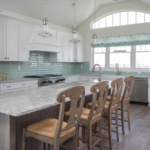 The color palette of serene neutrals and watery blues and greens feels cozy and relaxing, definitely fitting for the beach location! 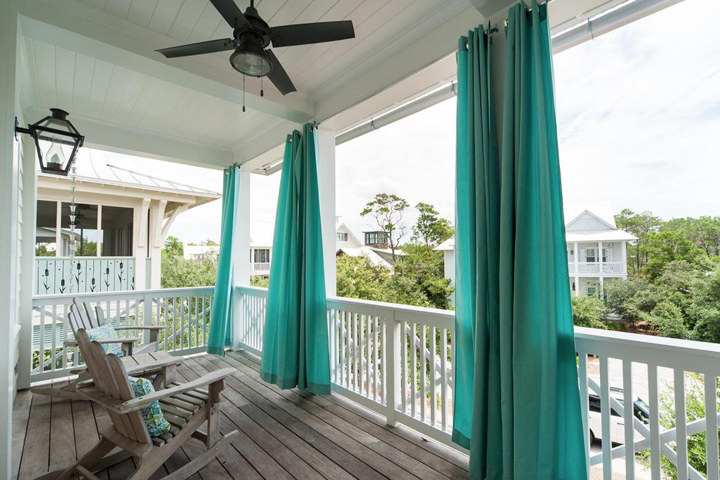 Don’t you just love the porch with the turquoise drapes? 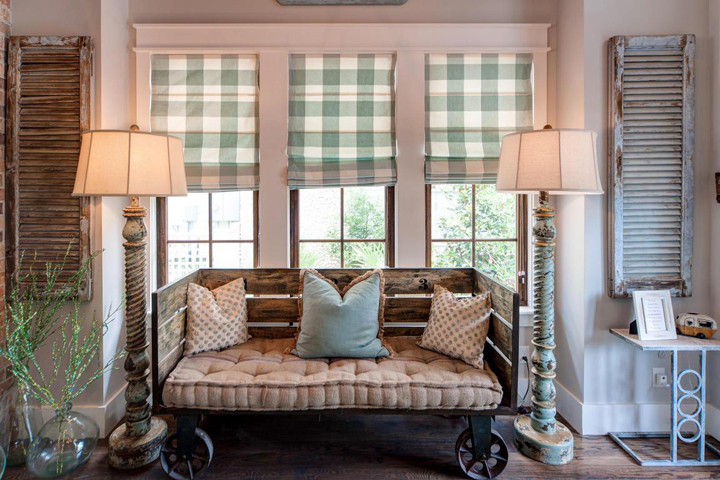 They make a fun statement from the street but are great for privacy and shade too. 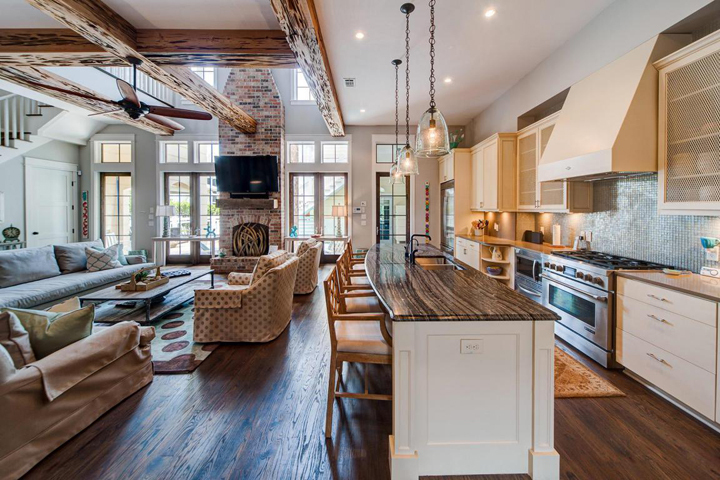 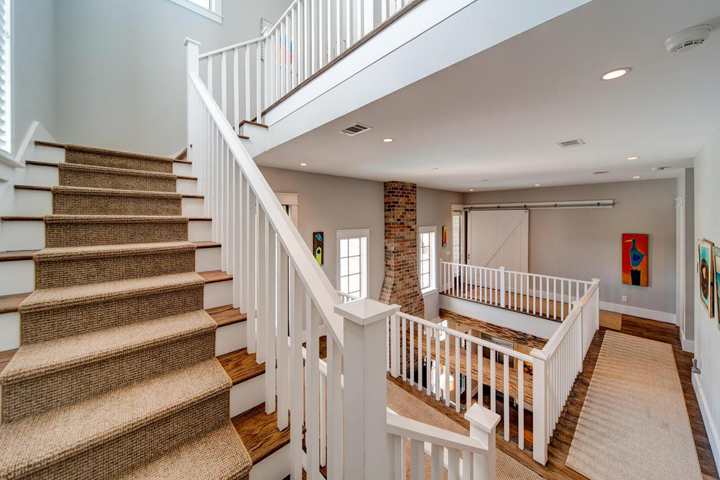 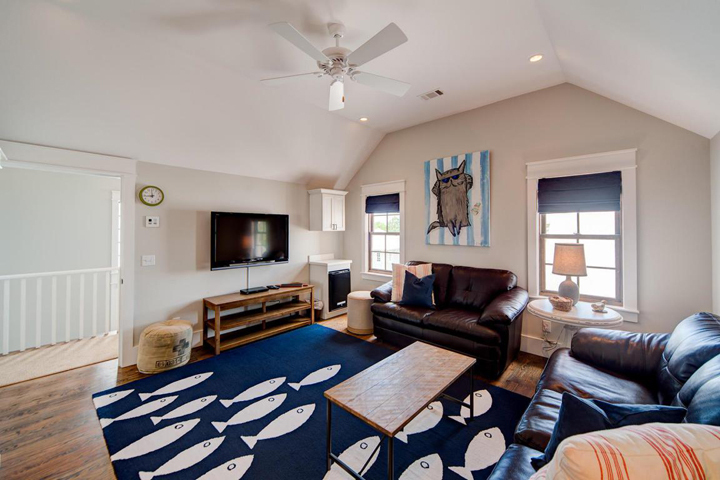 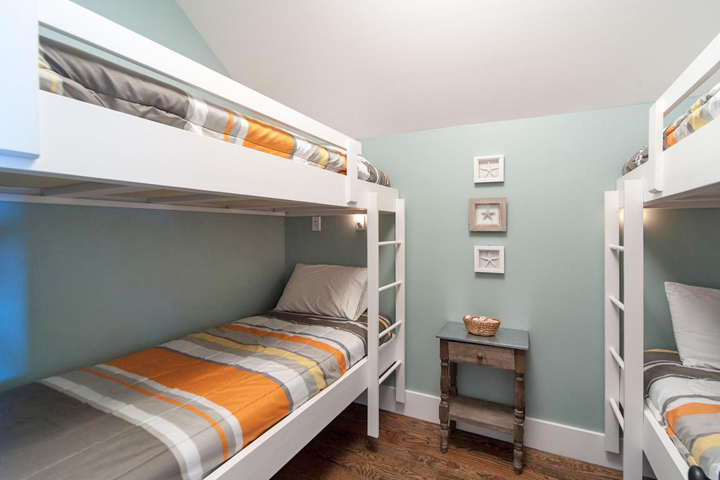 I still can’t get over the open floor plan family room and kitchen though….what a fantastic space! 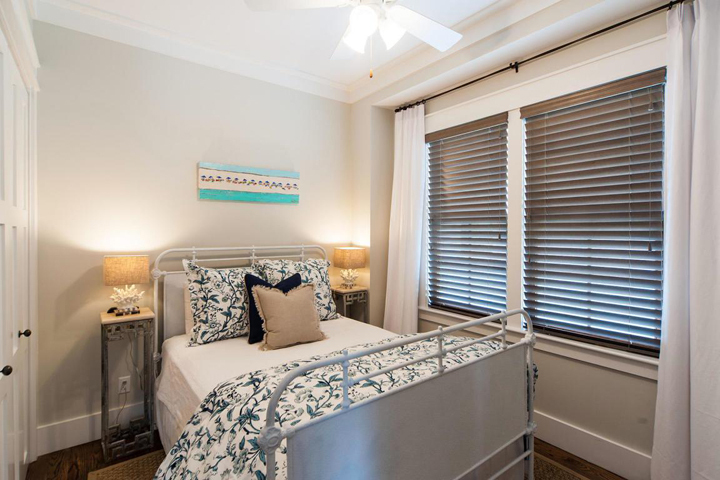 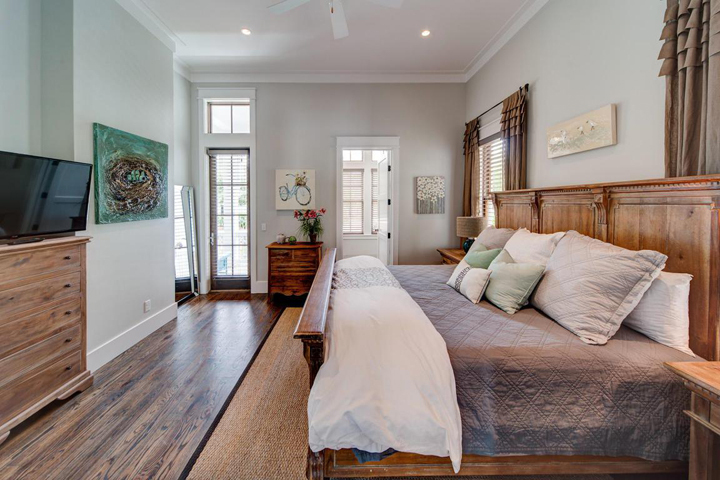 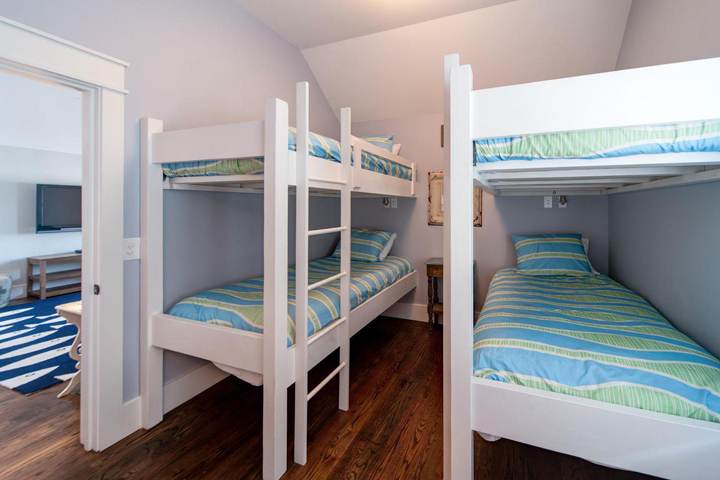 Check out the real estate listing and dream away here! 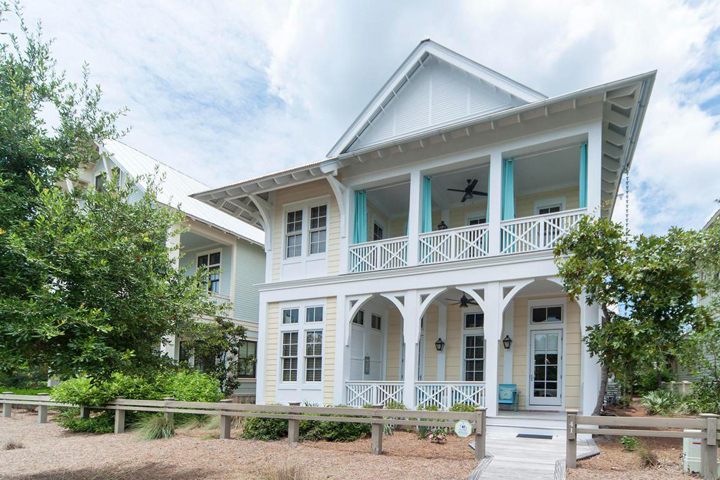 And for even more beautiful WaterColor homes I’ve featured, go here!